Last week the world of Facebook was enthralled by an extraordinary video. I’ve been sent it more than a dozen times by assorted “friends” and over half a million people viewed it in the first couple of days after it was posted. It features a cattle dog named Jumpy, who responds to the gentle voice of his trainer with actions so precise, you’d think he was remote controlled. Sat opposite his favourite squeaky ball, Jumpy is made to walk towards it step by painfully slow step, sit, reverse, scratch his ears, look confused, turn left and right, then place his paw and his nose on the ball without moving for thirty seconds as his owner counts to three: “one, two, two-and-a-half, eight, fifty” and so on. It’s an incredible performance. Jumpy is a superstar, already dubbed by the twitterati as the smartest dog in the world. 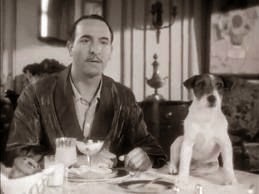 He’s trained by Omar von Muller, the genius who created Uggie, terrier-star of the Oscar-winning feature film The Artist. 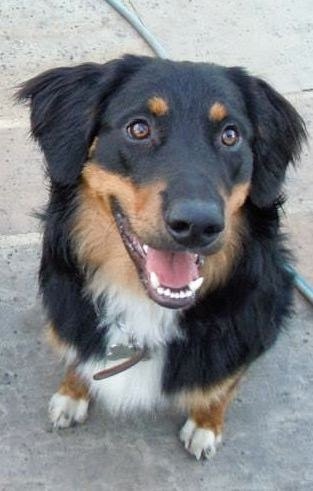 I really want to invite von Muller to come and live in my house for a week and train Izzy, who finds it impossible to sit still for even three seconds, but I guess the NSPCC might complain if we started feeding her dog treats in order to obey commands. So instead I’m challenging him to come and sort out Boots. 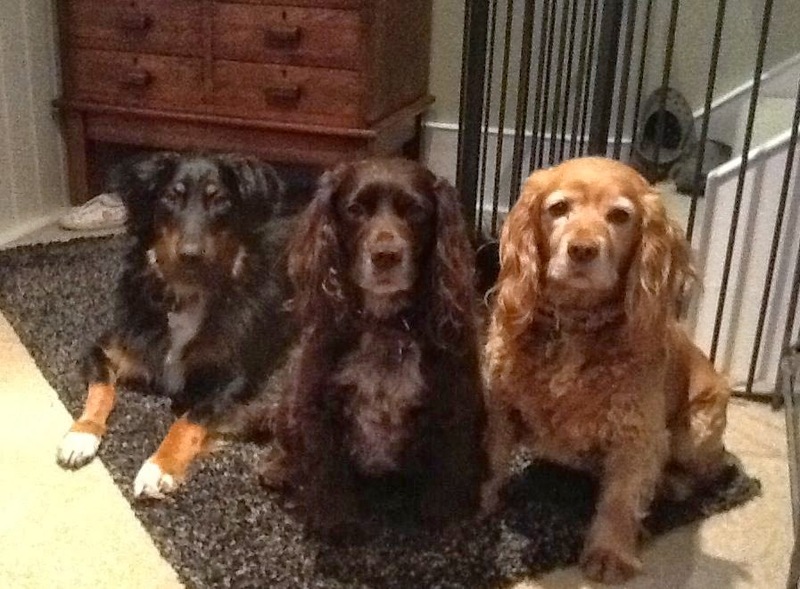 Since moving down to London last month we’ve been grappling with the strict rules of urban dog etiquette. The trouble is, Boots doesn’t really do rules. 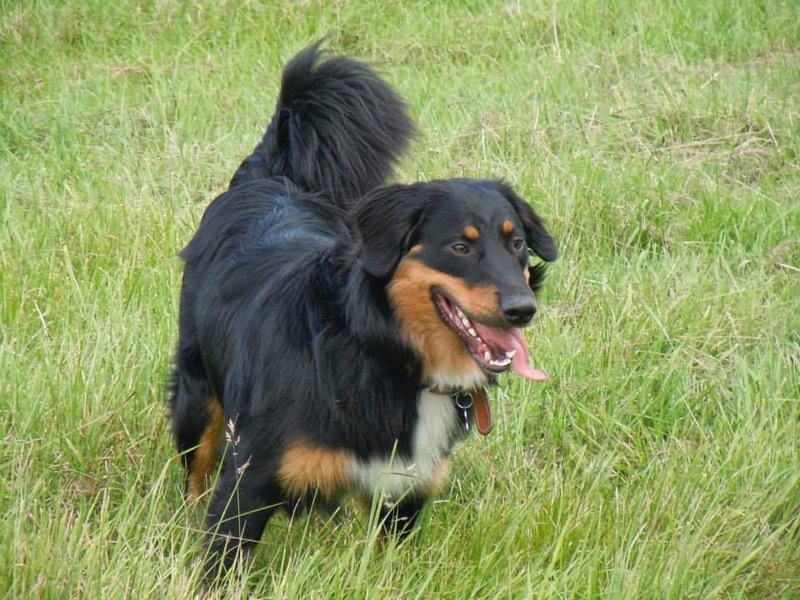 He’s an English shepherd, a rare, beautiful breed and, like Jumpy, he’s a natural herder. He herds Izzy round the house, herds my socks out of the laundry basket, and would happily herd the postman if he could jump the garden gate. Most of all, he likes herding things on four legs. Unfortunately Boots lives with two cocker spaniels, who don’t understand the principles of herding. Their idea of a good time is sniffing out things. 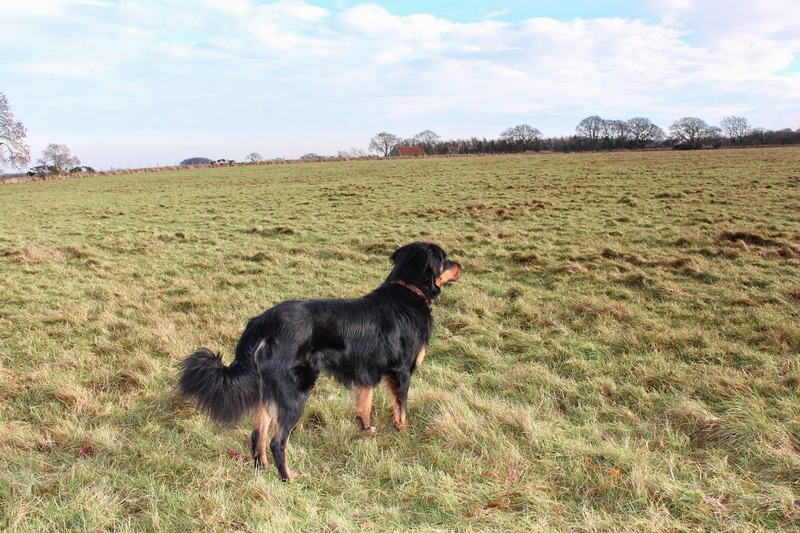 Back on the farm in Northumberland, they’d run in huge circles, little tails wagging furiously, snuffling their noses through the tussocks in search of…they’re not quite sure what, but they’ll carry on sniffing anyway. Boots was convinced his job was to stop all this nonsense and bring them back into the fold. It was an utterly incompatible relationship. Fed up with the intrusion, the poor spaniels would quietly sneak home alone, their miserable tails between their legs, and Boots would wonder sadly why nobody loved him. Now we’re in London, all this has changed. 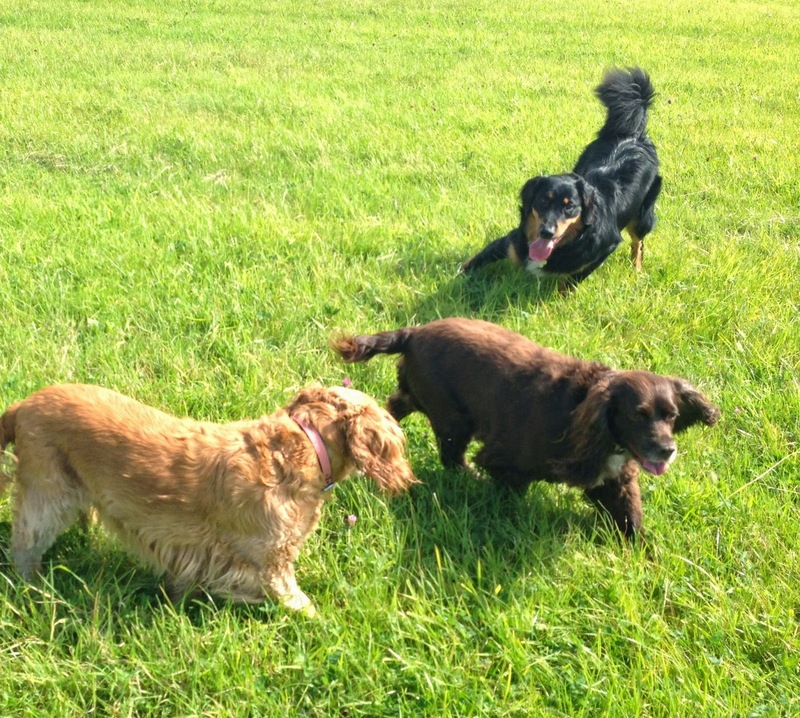 For Hampstead Heath, which is close to where we live, is dog heaven. There are literally hundreds of them, all day, every day. Boots has decided his mission in life is to meet them all and, ideally, bring everyone home with him. Boots is an incredibly affectionate dog. But he’s also big. So the good people of Hampstead, with their poodles and pugs, their boxers and Rhodesian ridgebacks, are rather wary of this new resident. Fortunately, having grown up on a sheep farm, Boots has very good recall. One whistle and he’s back at my feet. But stopping the herding instinct? I’m not sure if even Omar von Muller could achieve that. This morning I played Boots the video of Jumpy. Boots was fascinated, sitting with his head on one side and his ears pricked up. But after a while he decided that Jumpy was an idiot. “Just go get the stupid ball, cattle dog,” I could almost hear him thinking. “But if you learn to do this, you could be a star on Facebook,” I said. Boots turned round and looked at me with a “You’re out of your mind, mate” stare; then he slunk off towards the laundry basket to herd up another sock.